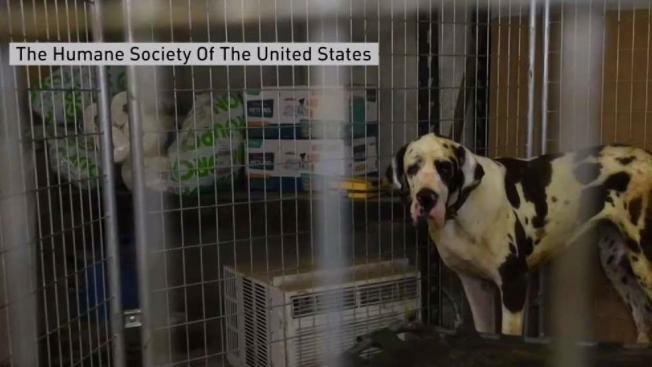 A judge has dismissed two of 12 animal cruelty charges against a woman whose 84 Great Danes were seized from her New Hampshire home. The dogs were taken from Christina Fay in June. Authorities said the animals were living in filth and suffering from health problems. Fay pleaded not guilty to the charges. She testified at her recent trial before a judge that she took good care of the dogs. The judge hasn't delivered a verdict yet, but on Tuesday, he dismissed two of the 12 misdemeanor complaints. They alleged that Fay deprived the dogs of treatment for cherry eye and fed them maggot-infested food. The judge said evidence shows Fay sought to treat the dogs. He found there was no evidence the food was actually fed to the dogs.